Note: This is written in the hope of uniting this country in supporting a President many couldn’t fully comprehend. This is a personal opinion out of a personal experience. Mayor Duterte’s leadership is like the Durian fruit experience for me. It wasn’t a love at first sight. I wasn’t appreciative of it at first. I looked at him through my religious and perfectionist lenses and wasn’t a fan. His family life, morality and “association” with the Davao Death Squad were huge stumbling blocks for me. To be honest, I was the number 1 anti-Duterte fan so focused in my own religious judgments that I did not vote for him during the Duterte-De Guzman race for mayorship. I proudly exercised my rights of suffrage against him. I did not believe in his leadership. For me, he was just one plain sinner who shouldn’t be in office because he was a bad example especially to the youth. Just like Durian that I had to look past of the foul smell to enjoy the taste, I also had to look behind Duterte’s toughness and roughness to see that the reason why I am enjoying this “life is here” experience as a Davaoeño is this tough-taking Realist. And just like Durian, the moment I started enjoying the taste; I got addicted. I became a “Dutertard” (which means a Duterte retard?) and started seeing the benefits of his leadership. My eyes were open and saw that this “Imperfect Man” to many is bringing a close-to-perfect environment of peace, order, safety and progress in my city that couldn’t be experienced anywhere else in the country (as of writing… [because it’s about to change]). Now that the Mayor is now the President Elect, thousands are skeptics because they don’t understand him as Davaoeños do. They call those who get past of the “foul smell”, fanatics. What they don’t understand is we love Duterte because we look past his imperfections because his close-to-perfect leadership shouts louder. But I admit… our beloved Mayor is hard to love. He’s a “long term relationship” kind of man, not a “one night stand”. You have to know him first. You have to spend time with him. You have to be open-minded (in faith that God is sovereign no matter what) to be able to start smiling at his jokes and laughing at his sarcasm. I admit, I was once also in the same position like many Filipinos now who are lost in figuring out who this President Elect really is. I understand that it can be alarming to put your trust in a Leader who you don’t fully understand. We don’t value what we don’t appreciate right? So I listed a few insights here from how I know the President Elect as a Davaoeño for 15 years now. This may be limited but I hope this will help everyone in the country get a starting grasp of who our incoming President is. 1. He is a good man. – Duterte may be tough and rude to many but for us who have known him, we can say that he is good. He is passionate and compassionate. He is always for the people. He is willing to die for the poor and the oppressed. Yes, his ways are tough… his words are blunt and dirty… his stance is proud… But these are just coming from a fierce personality who hates injustice and corruption. He’s a lion who wildly roars against criminality and inequality. But know that behind the those fiery eyes and foul words is a heart that aches for a better society. When you need someone to defend you, he’s the man. You just need to go beyond the surface and see the motive of his heart. When you do this, you will see a genuine leader who is authentic, efficient and effective. He is not perfect. But you’ve got to trust that his heart is always good. His 22 years of public service in Davao City can attest to this. He has not done evil to this city. I couldn’t recall any negative issue that nailed him because he’s corrupt and wicked. There were only oppositions when we did not understand the laws and ordinances. But nothing to pin point the Man on any exploitation against any person or entity. And this is because he’s a good person. He has a good heart. 2. He is a man of principle. – He will not bow down to anything or anyone. If you are in the evil side and against the welfare of the people in general; you’re an enemy. May you be the Pope, UN Secretary General, US President, State Ambassador, rich, powerful, or whoever; he doesn’t care. He knows his values and what he stands for. If you’re on the other side… start running!!! Because he is also light-hearted especially to the young, women and the minority. He has principles. And it is always guided by what is good. – Right when you think you got him, you’ll realize that he’s the one who actually got you because he was 3 steps ahead of you! He’s been a public servant for years and have seen it all. He is smart and strategic. He is seasoned. He knows when to expose things and when to submit to wisdom and keep quiet. He’s someone you can’t figure out unless you get to know him and start thinking like him. Most Davaoeños are already good at this. Thus when the nation is whining about a statement, we smile because we know he is just taunting you so you expose your own corruption in your reactions. He’s a lion. But he’s also an eagle… The Philippine Eagle type who eats monkeys who are foolish and steal people’s food! 4. He is a simple man. – There is no drama in him. He just works. He refused a lot of prestigious nominations as a public servant because for him he’s just doing his job. And it’s true. He eats with his hands at home, he lives simply, and is not for show. Anyone can approach him anywhere. He doesn’t like prestige. He is real. He doesn’t wear political masks. – He’s not even in Malacañang Palace yet but change is already happening all over the country. This is because he’s the best. He is a genuine leader who lives simply and is efficient and effective in his ways because he’s driven by passion for the nation and compassion for people. We have seen it in Davao City and this nation is about to experience it. So brace yourself and join the change coming… Change yourself instead of being critical and judgemental. It is IMPORTANT to note that Duterte alone did not bring change in Davao City. He led us to it, we all jumped in and became the Change we all wanted to see. Look at all the social media posts of those living in Davao. They are the ones reporting anomalies, standing in righteousness and fighting when injustice happens. There are online communities and hotline numbers where citizens can report crimes and accidents, rally people to help (give rice to a community, buy popcorn from a vendor, give educational scholarship to a PWD), condemn corruption, etc. We – the citizens do it. Media reports it objectively. The government acts on it. This is how it worked in Davao City. It is collaboration of the whole community. This is the reason why Davaoeños (and all Dutertards) respond right away when see actions outside of goodness. We eat you alive like swarms of locusts on a field. Forgive us. This is because we have become like our Leader who hate wickedness. We have become Change this society needs. Because we’re not depending on one Man alone for change, we realized that we are the Change. Unfortunately other think we’re just being Dutertards brawling to defend the Mayor even if he’s wrong. Nope, most of us are not (because yes, others react pathetically – if you’re one, stop it). We are good-loving citizens who have seen the light and stand in it. We couldn’t live with darkness anymore. We see it in the eyes of truth. Even if it is most of the time covered with hypocrite words and actions. So it is my prayer that we join this Change. Mayor Duterte can not do this alone. He will provide leadership but he will need each one of us to get in the ark and join in rebuilding this nation for the sake of our children’s children. Let’s all start change now. P.S. To all Davaoeños and Dutertards around the world, please feel free to add these 5 items above to acquaint our nation who our Tatay Rody is, by commenting below. It’s time to bring our dear Philippines back to its glory under the Lordship of Jesus. Mabuhay ang Pilipinas! Wow. This article really helps me understanding the Newly Elect-President Duterte in a deeper way! When I heard Duterte’s cursing and bad reports about him again and again after the election. I begun to doubt if he can really change this nation or not, yet again I am reminded of this article to understand him more. Thanks Julmar! I hope and pray that nation be united again. God bless you and more power. This kind of post is exactly what we need at this point. It’s not hateful nor condescending nor groveling. It gives us a guide as to how to understand a president who is not presidential, a president who puts a mirror in front of you so that you can see the truth about yourself. Thank you for posting and I will surely share this. 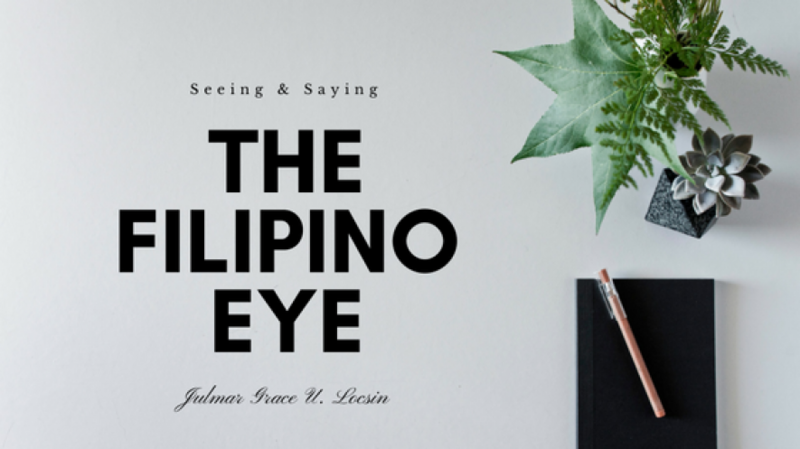 I am a Bisaya and I think part of the problem is the language and the nuances of being a Bisaya. This is the first time we have a President who is from Mindanao and a Bisaya at that so a lot of adjustments have to be made. Well said. Nicely explained. Indeed, “the success of the intervention depends on the ulterior motives of the intervenor”. So what’s his (Duterte’s) ulterior motives? That is something that we all have to watch and learn. I think that it takes awhile, and a certain kind of patience and understanding, before we begin to love and see the glow of one true leader’s heart. Hopefully, other will start reflecting, before judging. I am a Davaoeño, and I never voted for Duterte in the past because I always looked at him through my religious judgemental prism. I would always see him as an arrogant, immoral & egotistic person. However, the Lord graciously dealt with me just few years ago, regarding my spiritual blindness. Jesus enabled me to realize how wrong it is to judge other people. Being judgemental is so intrinsically wrong! With my pathologic judgemental attitude gone, I begin to see the other aspect of the Duterte phenomenon. I can see on the horizon so much good things coming for our beloved country. This is it! Change will be happening in our country soon. Let us support his plans for Federalism, his peace and order initiatives and his economic endeavors. Let us PRAY for him. Definitely, we will support President Duterte. God bless. That’s tradition (even our neighboring Indonesians and Malaysians eat with their hands).